In part 2 of this series I will show how to remove iSCSI targets with PowerCLI. Unfortunately this example doesn’t work because the –Address parameter doesn’t exist in VMware vSphere PowerCLI 4.1 build 264274. 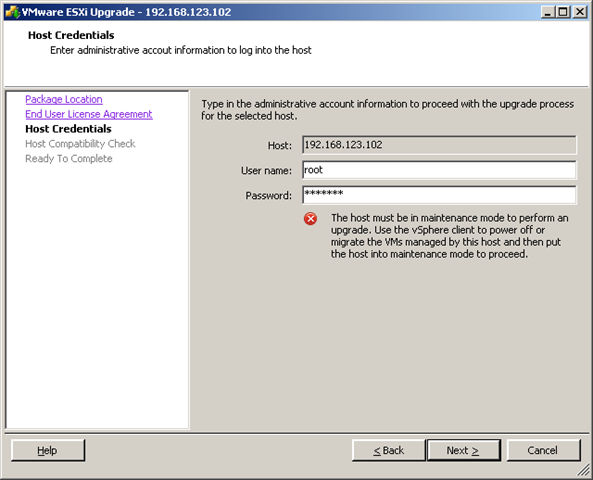 This entry was posted in VMware and tagged howto, iSCSI targets, PowerCLI, vShpere on October 12, 2010 by afokkema. You don’t hold privilege ‘ Datastore > Allocate space’ on the Datastore connected to the selected Cluster. Start the deploy OVF wizard again and the error/warning will not show up. 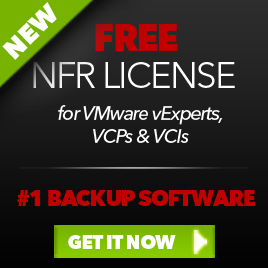 This entry was posted in VMware and tagged OVF, vShpere on June 30, 2009 by afokkema. 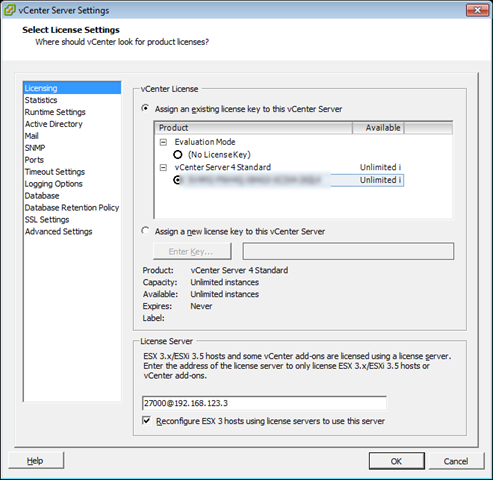 Install the License Server for ESX 3.5 on different server than your vCenter box. I tried installing it on the same box, but it ended with a failed startup of the License server services. The installation is straight forward (read next, next, add license file, next and finish). 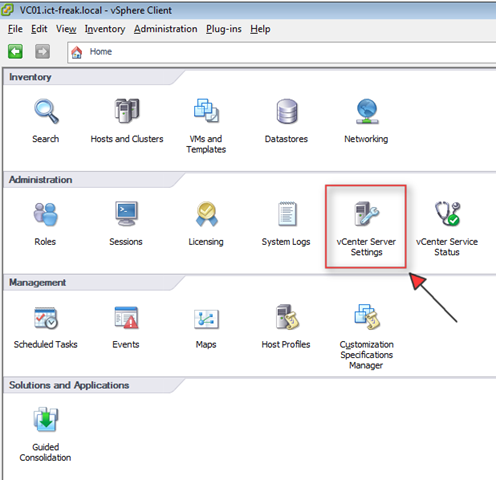 After the installation open the vCenter Service Settings option. 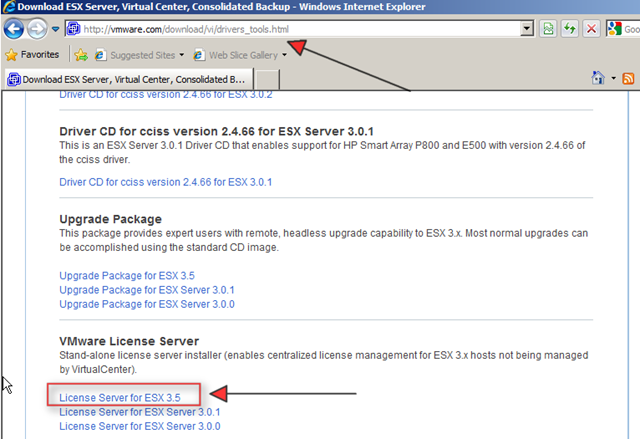 And enter the address of your license server and press ok.
Now it’s possible to add the ESX 3.5 host to your cluster. This entry was posted in VMware and tagged ESX 3.5, Licensing, vShpere on June 8, 2009 by afokkema. 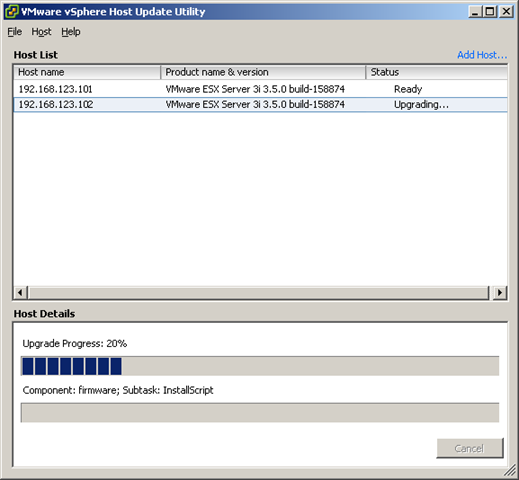 In this post I will introduce a new VMware tool called VMware vSphere Host Update tool. With this tool you’re able to update an ESX host without VUM, just like the VMware Infrastructure Update utility. See my previous post here. An other interesting feature of the vSphere Host Update tool is the option to upgrade an existing ESX(i) Host to vSphere. 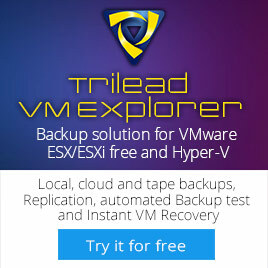 In this post I will guide you through the upgrade process of an ESXi host which runs from a memory stick. 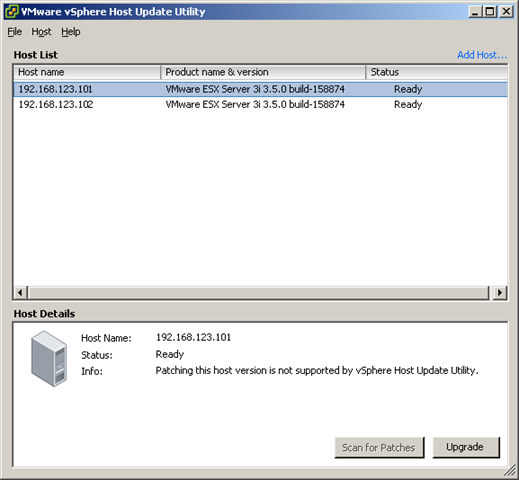 Start the vSphere Host Update Utility from Start – Programs – VMware – VMware vSphere Host Update Utility. When you already accessed your ESXi host with the VI Client, The host are already added to the Host List. If this is not the case, you can add your host via the Add Host… link at the right corner. So now we’re ready to upgrade. Select the host and press the upgrade button. 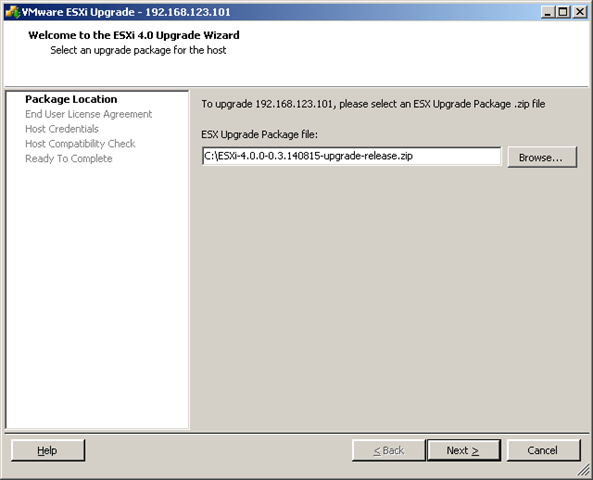 The ESXi 4.0 Upgrade Wizard starts. You’ll have to add the upgrade zip file which you can download from VMware.com if you’re a Beta user. Enter the credentials for your host. In the screenshot below, you’ll see an error: The host must be in maintenance mode to perform an upgrade. So when the host is in maintenance mode, we can continue the upgrade process. 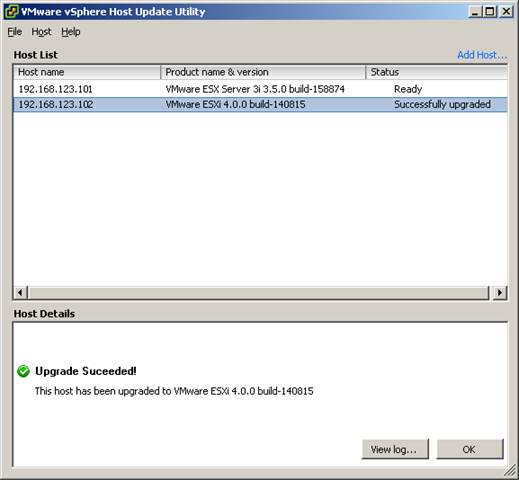 After the Host Compatibility check, the host will be upgraded to vShere. After a couple of minutes the host is ready and is running ESXi 4. This entry was posted in Random, VMware and tagged ESXi, Upgrade, vShpere on May 8, 2009 by afokkema.